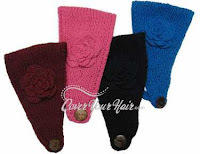 Thanks to Cover Your Hair for providing me with a free headband to review. Cover Your Hair has almost any kind of hair accessory you can think of. Any where from Bandanas to Turbans! I personally have really long hair, so the possibilities for me are endless. For my review I received the Sheer Hair Net Headband , and I know what your thinking; Why would I wear a Hair Net? But don't worry, this is not your typical gross hair net you see cooks wearing. My favorite part about the Sheer Hair Net Headband is that it does not slip off. But that is just one of the many great perks. Another great aspect is all of it's good uses. You can use it while your cleaning, cooking, or even when you go out. The Sheer Hair Net doesn't really look like a hair net, It just looks like a cute hair accesory. The headband I received is bright pink, and I absolutley adore it; It's comfy cute and stylish. pink, yellow, orange, green, white, blue and black. 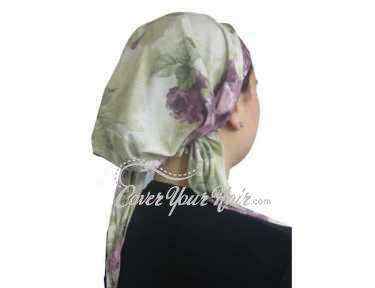 Don't forget to check out Cover Your Hair's other great products while your there. Especially the giant selection of Bandannas , The super cute Headbands and the Fashionable Hair Accessories. All available for a low price. Cover your Hair is giving 1 of your a Surprise box with $25 Worth of Cover Your Hair products. To enter to win just.. Mandatory entry : Visit Cover your Hair and let me know a product you would like to have. Disclosure: Review Product was provided to me. No Monetary compensation was received. Giveaway will end on May 3rd, 2010 at 11.59 pm. This giveaway is open to anyone worldwide. I love the brown feathered headband. Such cute hair accessories! I like the lavender headband with tails. following back from friday follow. I love the Isreali Tichels. I entered the Charm Bracelet giveaway. I would like Plum Flower Pre Tied Bandana. I entered Charm Factory giveaway. I like the a cool cap with silver lurex. I entered the teddys pride giveaway. I would like to have the Funky Feather Hair Clip. I like that Sparkle Flower Pony. Thanks! The grey tie dyed beret is very cute. For my girlfriend I would get her a banana clip. Would love to have the yellow striped square bandana! I like the Solid Triangle.. I love the vintage chic style of the Womens Wide Leather Polka Black Belt. Thanks. I love the Black Equisite Scrunch Cap! i m a follower of google.